Sega's Away Team worked for an entire two years exclusively to make certain that the Sega Saturn was launched with some of the world's best hardware and software. The 27-member Away Team comprises Sega employees from every aspect of hardware engineering, product development, and marketing. Their sole mission was to ensure that Sega Saturn's hardware and design met the precise needs of both the U.S. and Japanese markets. 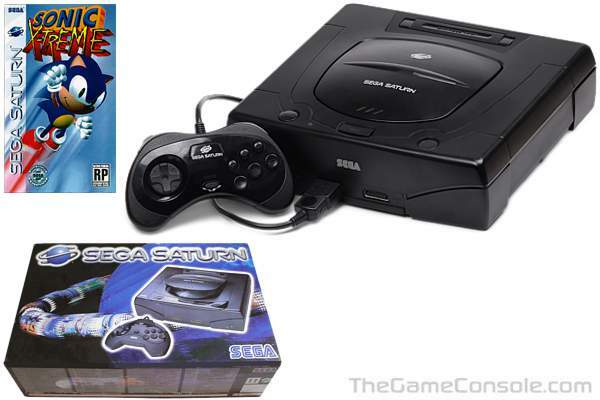 In May 1995, Sega launched the Saturn in the USA, a full four months ahead of schedule. This was announced at that year's E3 (Electronic Entertainment Expo) where Sega representatives were engaged in a public relations battle with Sony. This surprise move resulted in very few sales, however. This was due largely to the $399 USD price of the system and the lack of available software at time of launch. Also, Sega chose to ship Saturn units only to four select retailers. This caused a great deal of animosity toward Sega from unselected companies, including Wal-Mart and KB Toys.